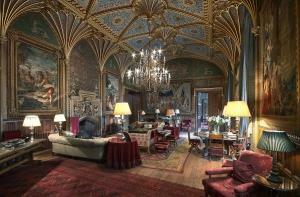 Eastnor Castle is a fairytale Georgian castle, dramatically situated in the foothills of the Malverns. Set in an Area of Outstanding Natural Beauty and surrounded by a deer park, a mature arboretum and lake, Eastnor Castle boasts beautifully restored interiors containing medieval armour, tapestries and Italian furniture and fine art. 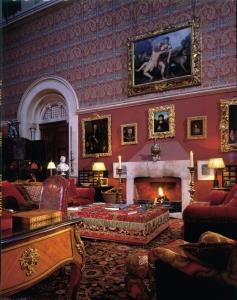 Eastnor Castle is still the family home of the descendants of the builder, Lord Somers, and feels lived in and warm. 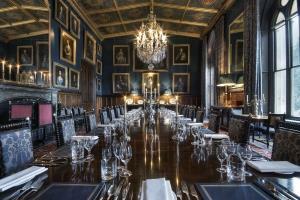 Visitors are able to view some of the bedrooms and bathrooms as well as the impressive state rooms and Great Hall, which is nearly 60 foot high. There are walks through the grounds and around the lake amongst redwoods and cedars. The 19th century ice house has been restored and is also open to visitors. 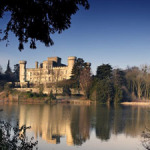 Eastnor also offers a tea room, shop, an adventure playground with new Burma Bridge treetop walkway and turret slide, Knights Maze, children’s fun sheets, junior assault course, woodland play area and a wide variety of public events to suit all ages and tastes. Dogs are welcome in the house and grounds. 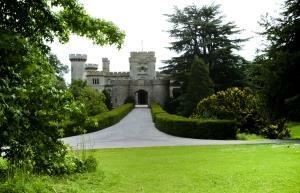 The castle can also be hired for weddings, business and private events on an exclusive hire basis.